We are only too aware that any signs of pest infestation in your hotel, restaurant, schools & hospitals would seriously affect your reputation. 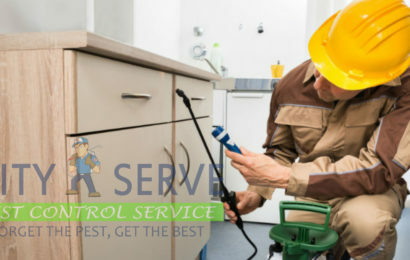 At City Serve Pest Control we have extensive knowledge and experience of the three pests that pose the most common threats to your restaurant – cockroaches, flies and rodents. Our tailored service offering is designed to protect your reputation, address the key areas of compliance with the Food Safety. We will also provide the vital protection your business needs to ensure loss of income due to pest activity never happens. We know that pest control in public places has to be considered very carefully because the sight of traps and other pest control will make customers feel very uneasy. In practice, this means that we will identify the root causes of an infestation and implement the appropriate solution. We will also provide expert professional advice and recommendations that prevent re-infestation. As with all our solutions, we use non-toxic treatments wherever possible. We use active ingredients only for the minimum period of time needed to clear the pest infestation before reverting to established preventative measures. Our pest control technicians are able to complete advanced audits and provide due diligence documentation for legislative authorities. To give our clients peace of mind, our teams of technicians are supported by a technical team which includes fully qualified EHOs (Environmental Health Officers) and a team of field biologists. We are only too aware that any signs of pest infestation in your hotel, restaurant, schools & hospitals would seriously affect your reputation. At City Serve Pest Control we have extensive knowledge and experience of the three pests that pose the most common threats to your restaurant - cockroaches, flies and rodents.